An apparent explosion at a Rhode Island beach over the weekend launched a 60-year-old woman five feet into the air and then into the hospital. ABC News reported that Salty Brine beach regular Kathleen Danise was, according to witnesses, thrown onto rocks at the popular spot in Narragansett Saturday morning after a sudden blast. Beach patron Michele Martin described Danise as going "five feet up in the air" and landing "on her face." "She was in shock, couldn’t talk at all," Martin recalled. In an interview Sunday, Danise, of Waterbury, Conn., remembered reading a book and watching a man plunge into the water wearing scuba diving equipment before the incident. "That’s the last thing I remember," she said. 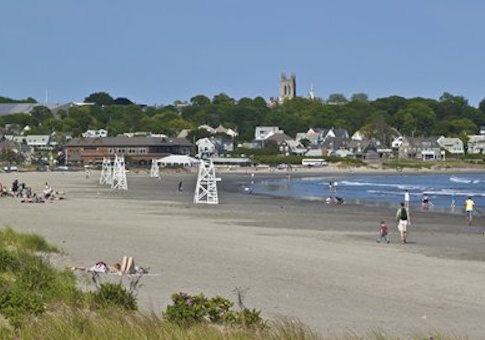 Multiple individuals on the beach reported a smell of gas, though a spokesman for National Grid insisted no gas lines lay along that particular beach. Officials allegedly conducted an investigation and found no evidence to suggest any "public safety concerns." The Rhode Island Department of Management wrote on Twitter later Saturday of the explosion, "On-site investigation compete & no reason to believe there are an public safety concerns related to incident." While witness David Di Filippo described the blast as "something that was seismic or metaphysical," his 12-year-old son said he recalled someone shouting "bomb." Danise, having suffered a concussion and two broken ribs, has since been released from the hospital. This entry was posted in Culture and tagged Rhode Island. Bookmark the permalink.